Once you've tasted the labor in removing a wheel from your Honda Civic using the old ratchet wrench and a 19mm socket, you may gradually dread the usual routine especially if you have to remove more than one wheel. But don't despair, having an air compressor and an air impact wrench can be one of the most undeniable investments you can make. Not only will this help loosen the naturally tight bolts for some of the major repair jobs, but it makes wheel removal and installation fun fast, and easy to do. 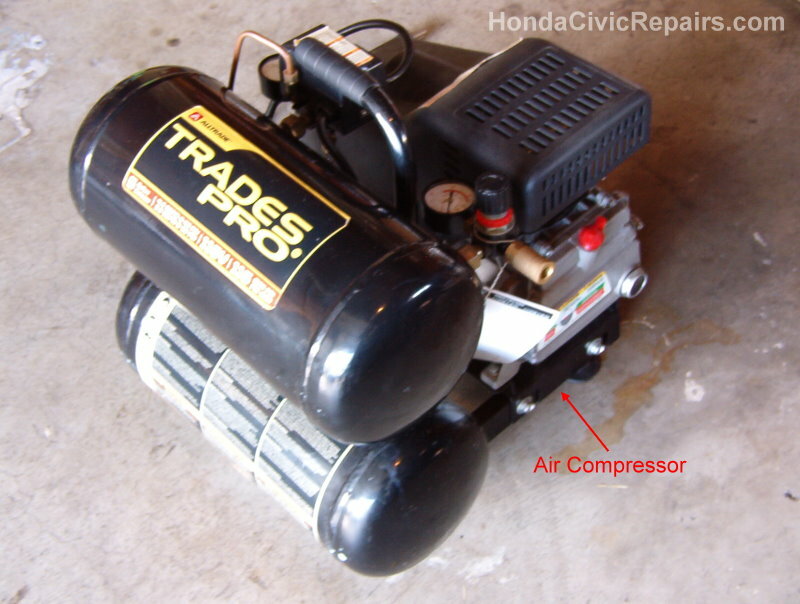 An entry level air compressor can cost anywhere from $100 and above from your local equipment or auto parts store. 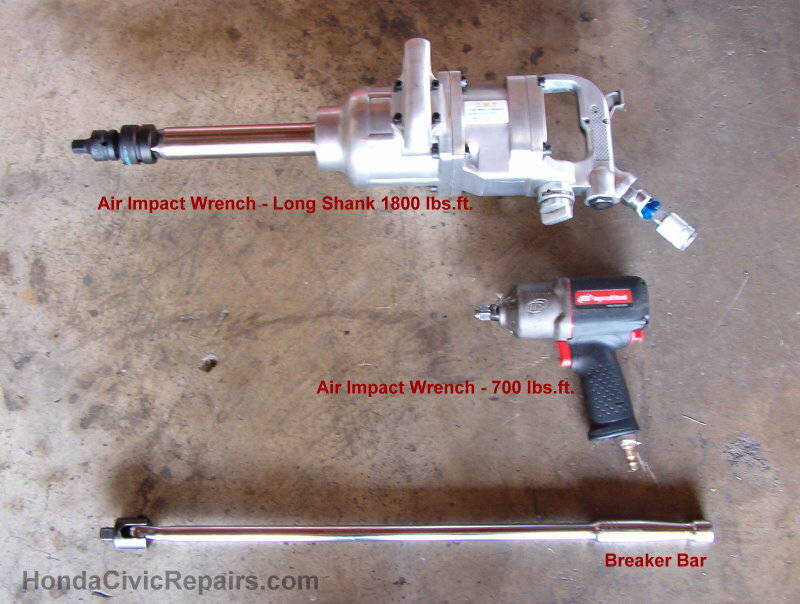 If your local equipment or auto parts store doesn't carry air impact wrenches capable of 600 lbs.ft or more, consider looking for great deals on eBay or the internet. Also, get a good collection of 1/2 in. drive mm sockets to add to your inventory. There are different kinds of couplers and air hoses required to quickly snap and connect your air tools. A 1/4 in. 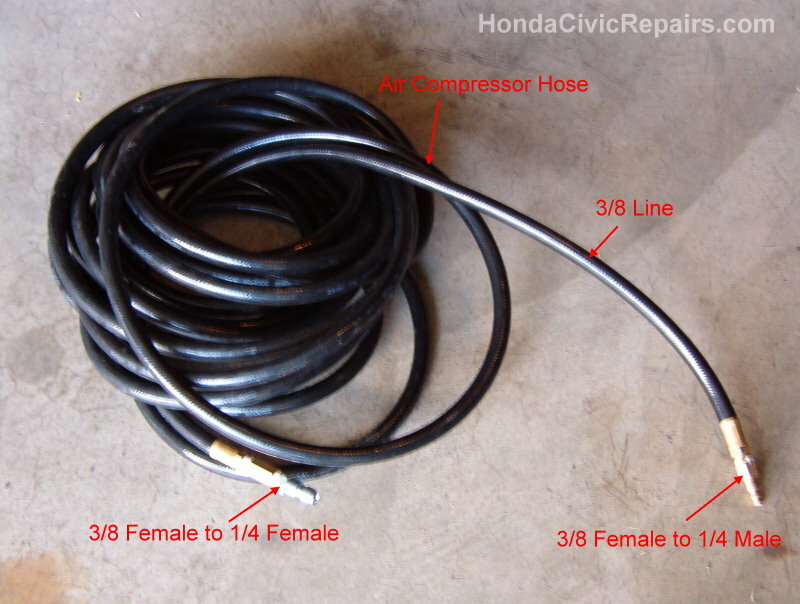 air hose is less expensive but a 3/8 in. hose can transport higher volume of air.